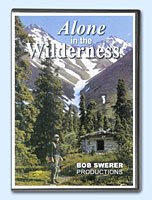 I was channel surfing today, and saw a piece on PBS about Richard Proenneke, a man who retired at 50 in 1967, built a cabin on a lake in Alaska (FROM SCRATCH), and lived there for 30 years. I happened upon this program on local PBS affiliate KCTS about halfway through. So, I don't know if he built his tools from scratch. I doubt it. But I was amazed at how well he was able to use his tools. I was also surprised at how well he was able to make boards out of a log with just a handsaw. When I've tried sawing with the grain, the grain usually pulled me where it wanted to go, and the cut never looked very good.